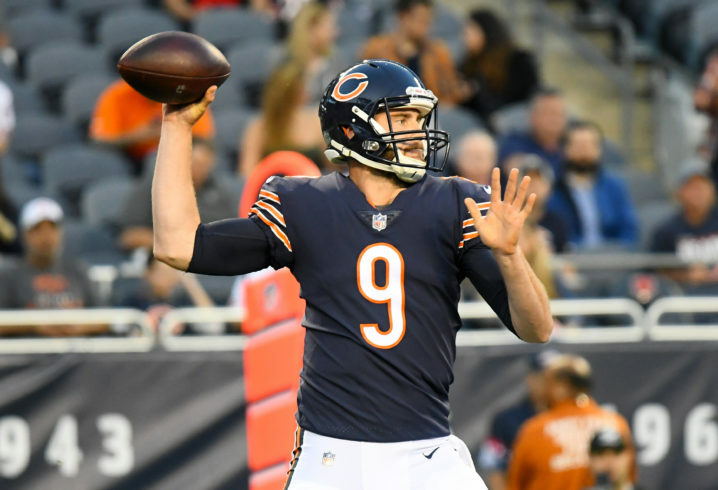 Tyler Bray isn’t going anywhere next season, he’ll be sticking around in Chicago for another run at the NFC North division title. Bray came to Chicago this time last year from Kansas City. Bray was on the Chiefs roster for five seasons before joining the Bears. In his first season with the Bears, Bray served on the team’s practice squad in addition to the active roster. While in Kansas City, Bray was coached by current Chicago head coach Jim Nagy. In his three seasons at Tennessee, Bray threw for 7,444 yards and 69 touchdowns — and a few beer cans. He played under former Tennessee coach Derek Dooley. Bray left school early after the 2012 season, following the hire of Butch Jones, but unfortunately, he went undrafted in the 2013 NFL Draft.